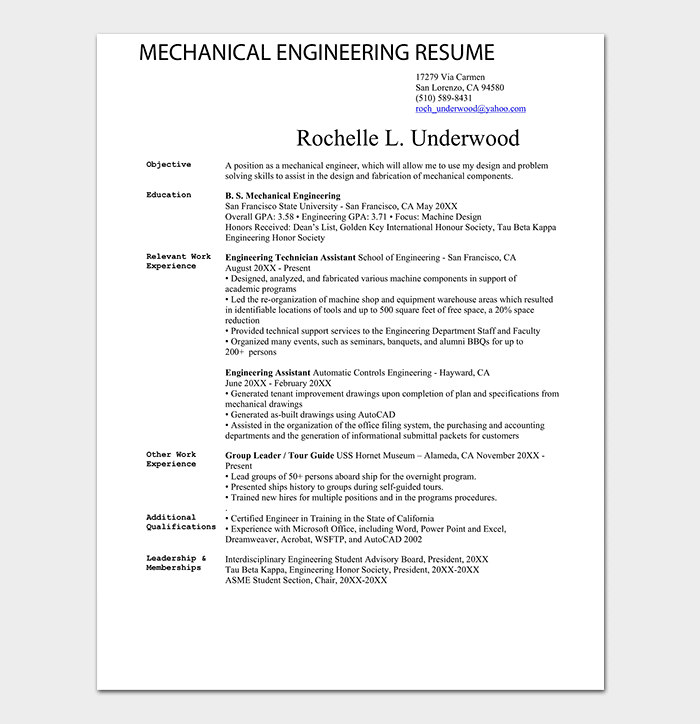 While Embarking on your mechanical engineering career, you will need to use a standard mechanical engineer resume template to make your final resume stand out from the competition. 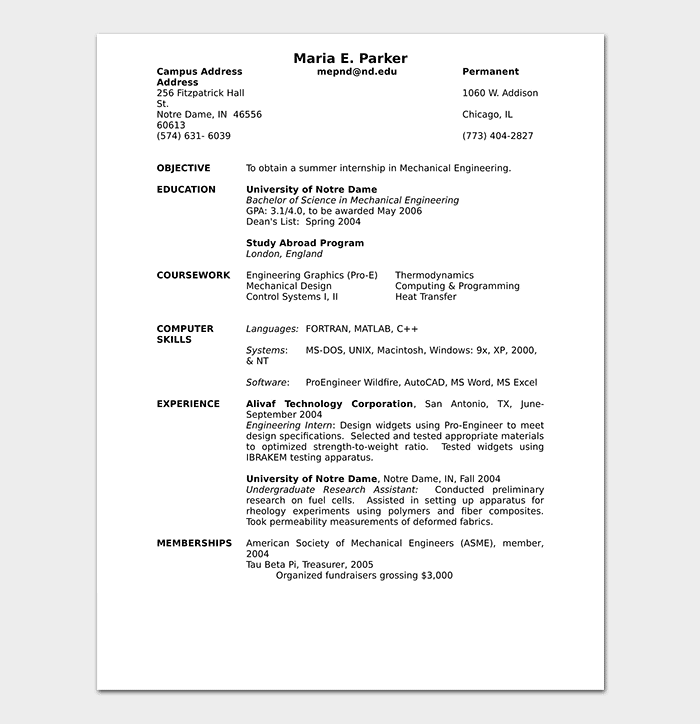 You can fine-tune your resume with ideas that will give it a higher possibility of being selected. 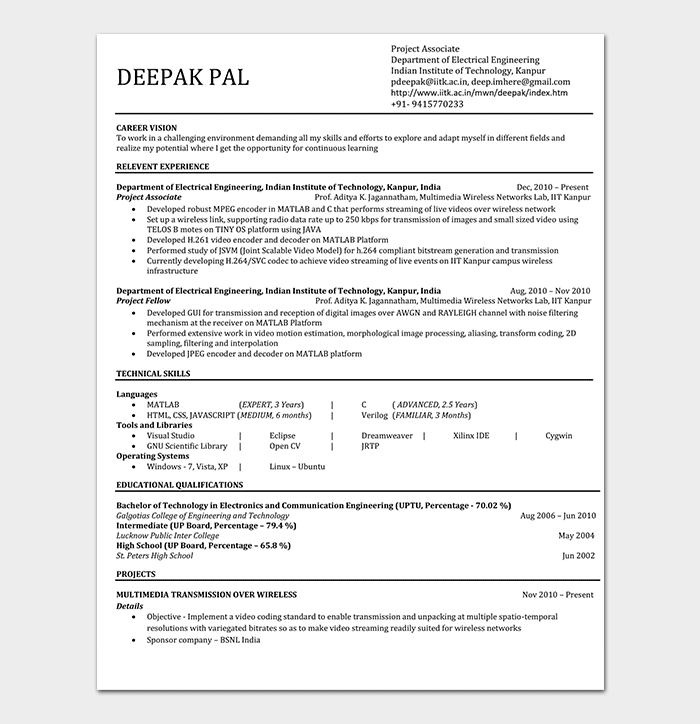 Resume for mechanical engineer fresher samples are available online and they just need a few modifications. 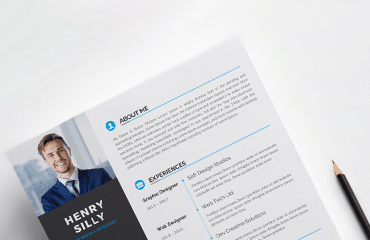 You just need to get a customized template and do the editing. 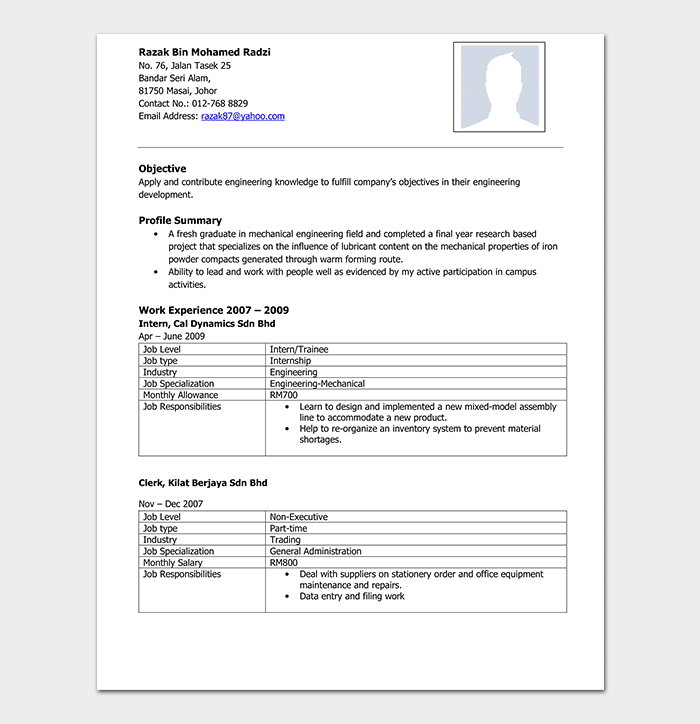 A resume format for a mechanical engineer with 1year experience needs to specify on any relevant experience related to mechanical engineering. 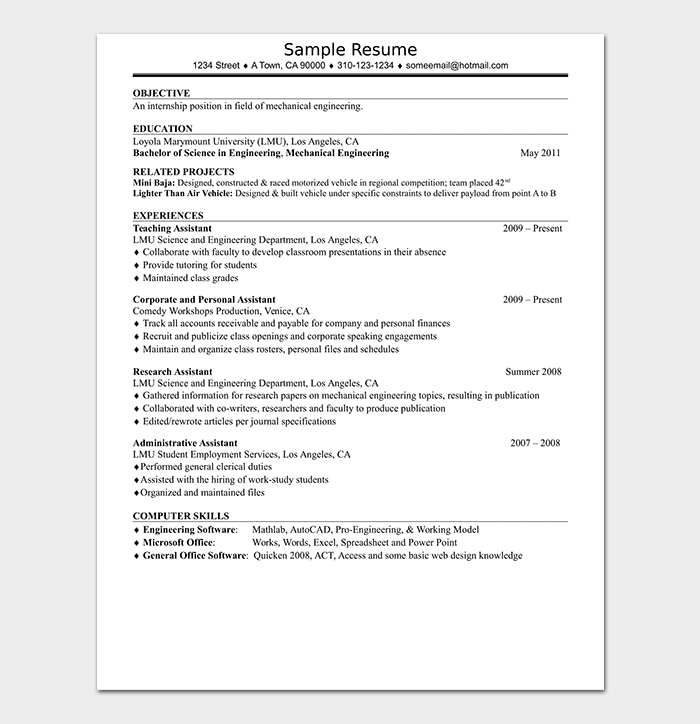 A few notable mechanical engineer aspects on the resume will definitely bring the difference. 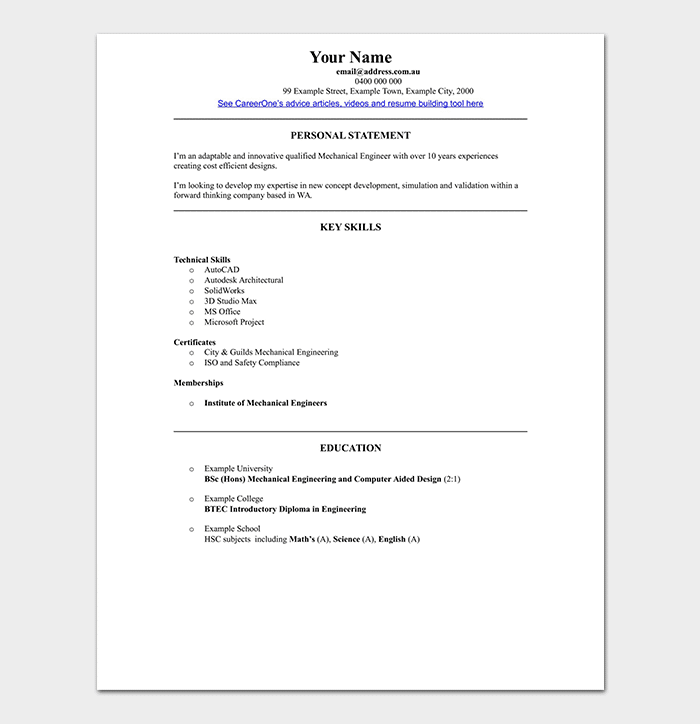 There are several formats for writing a resume, which you can obtain from any experienced mechanical engineer resume sample available. 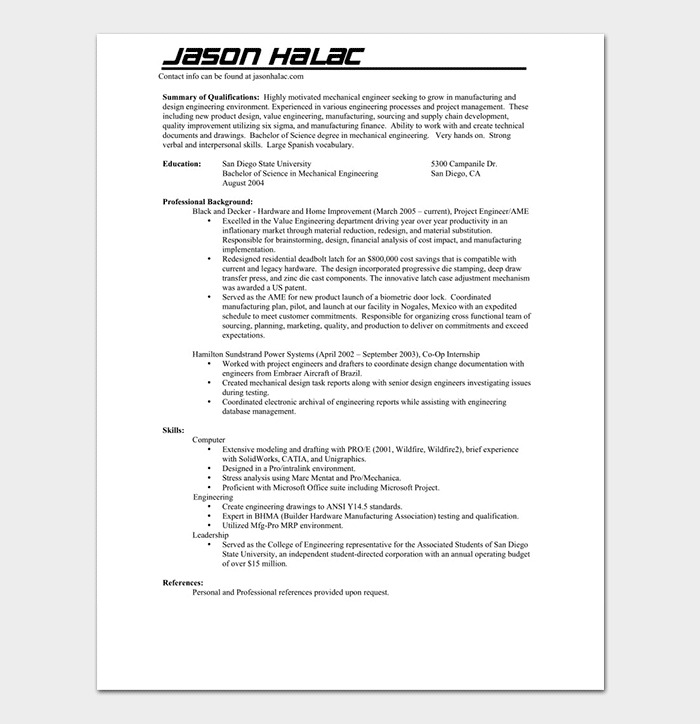 An awesome and comprehensive resume provides a better chance of selection. 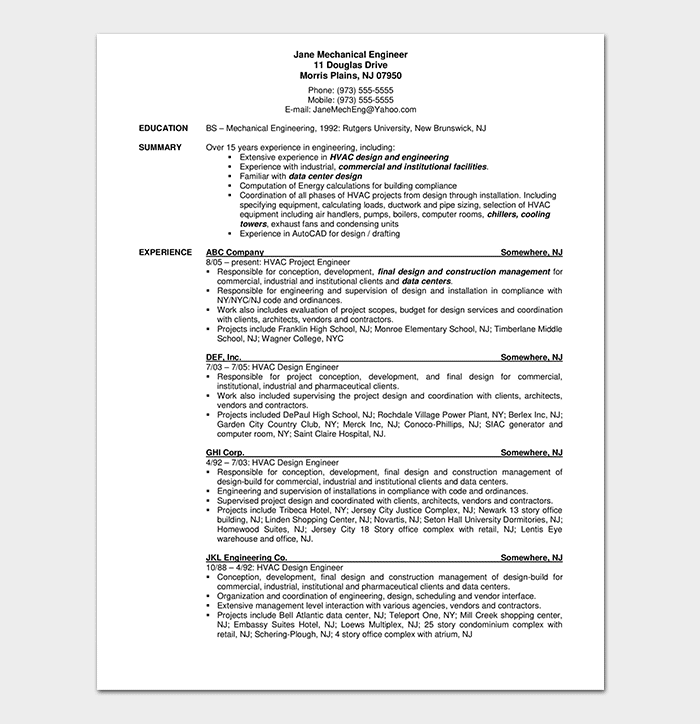 Looking for a position as a mechanical engineer in your company. 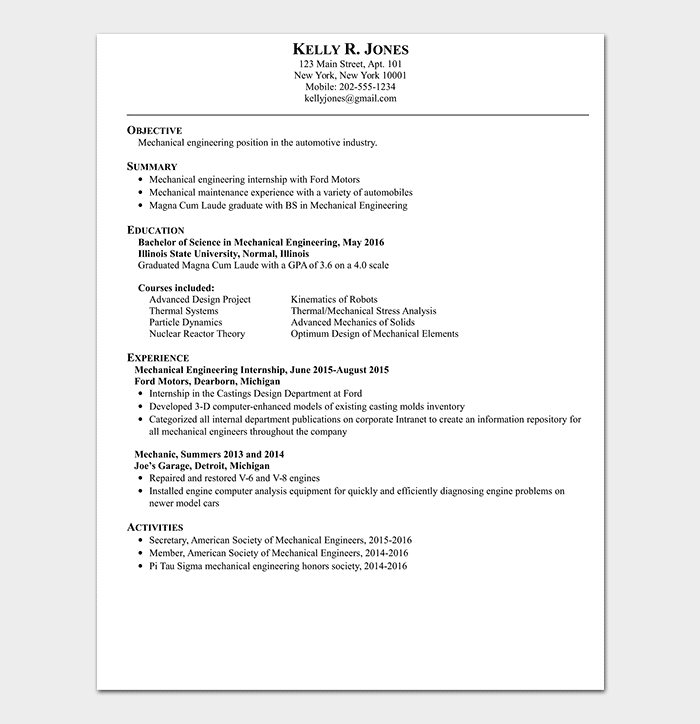 I will bring all the skills I have gained from previous Engineering projects and jobs. 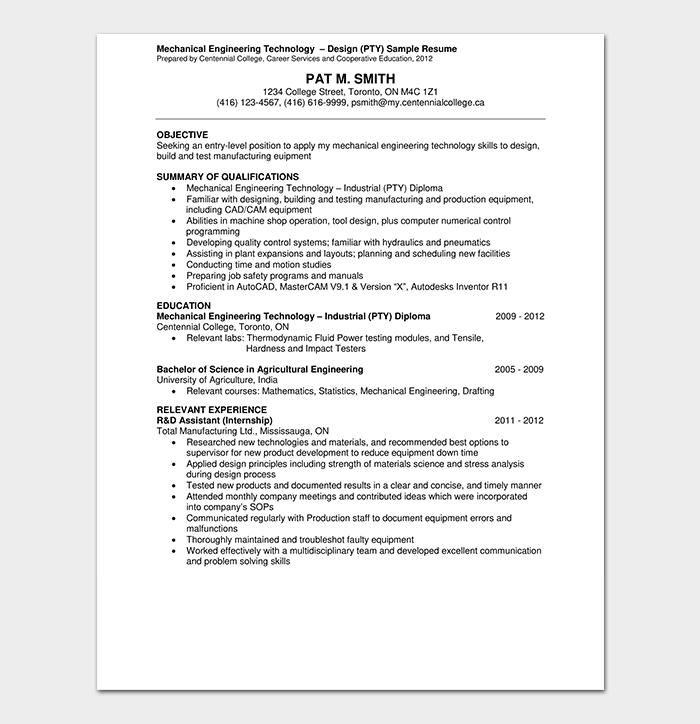 Developing a long-term career in Mechanical Engineering while exploring more opportunities for growing my career within your company. 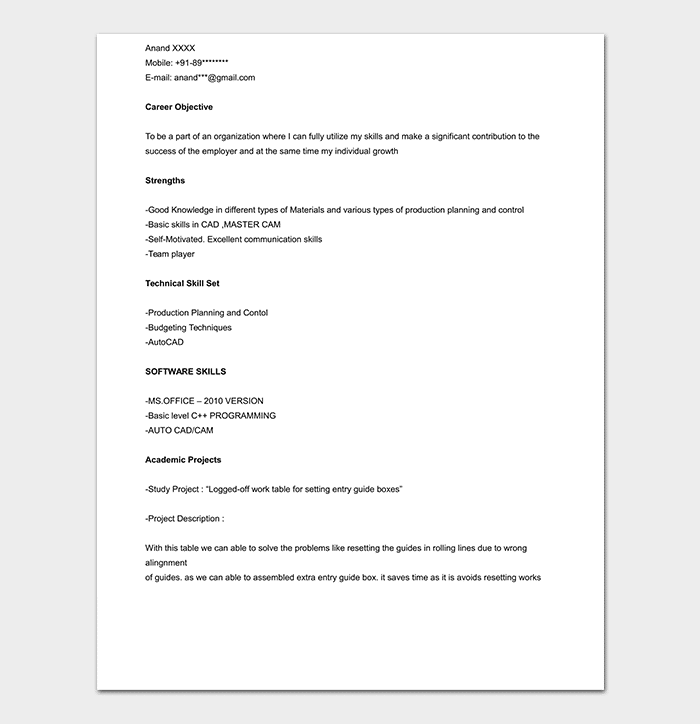 To enhance and solidify my professional and educational skills in a dynamic and stable workplace. 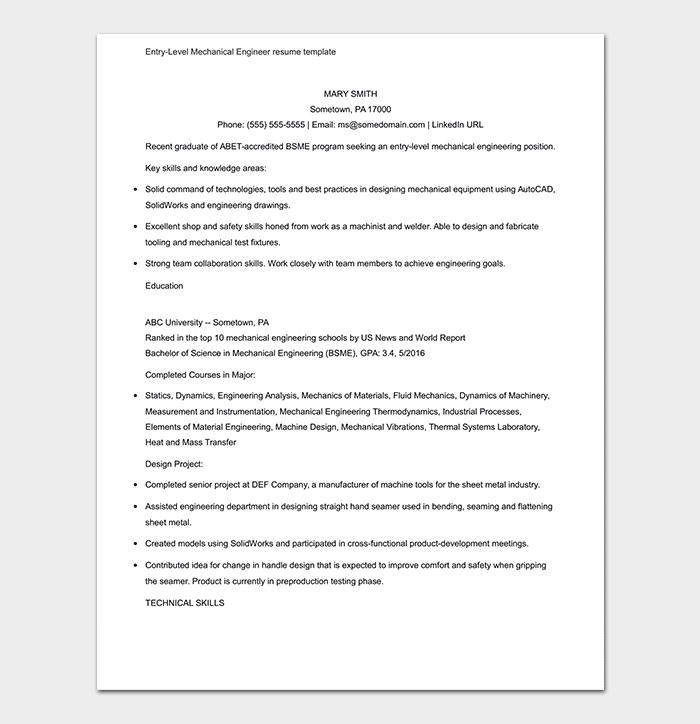 A University seeking to get a position offering opportunities for professional challenges in the field of Mechanical Engineering. 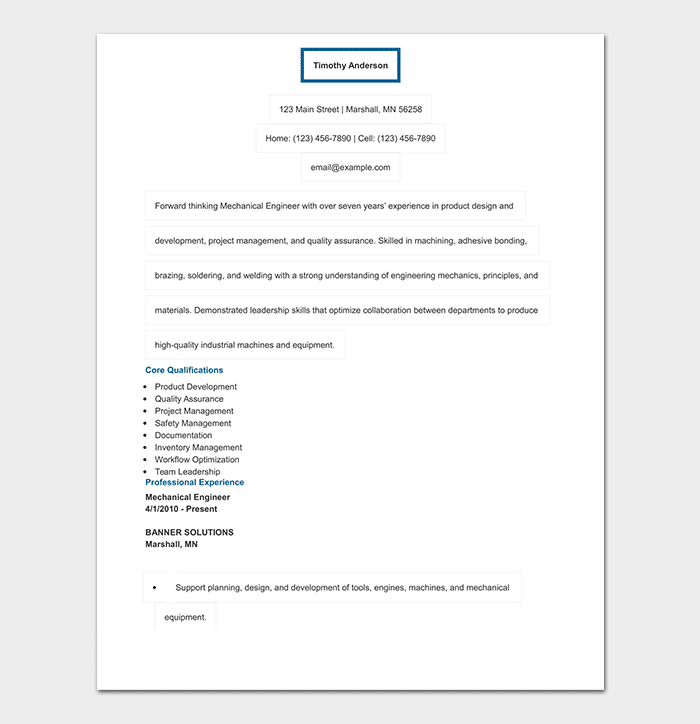 To add to your team a strong sense of motivation, responsibility, and dedication to your company and use my skills and knowledge previously gained. 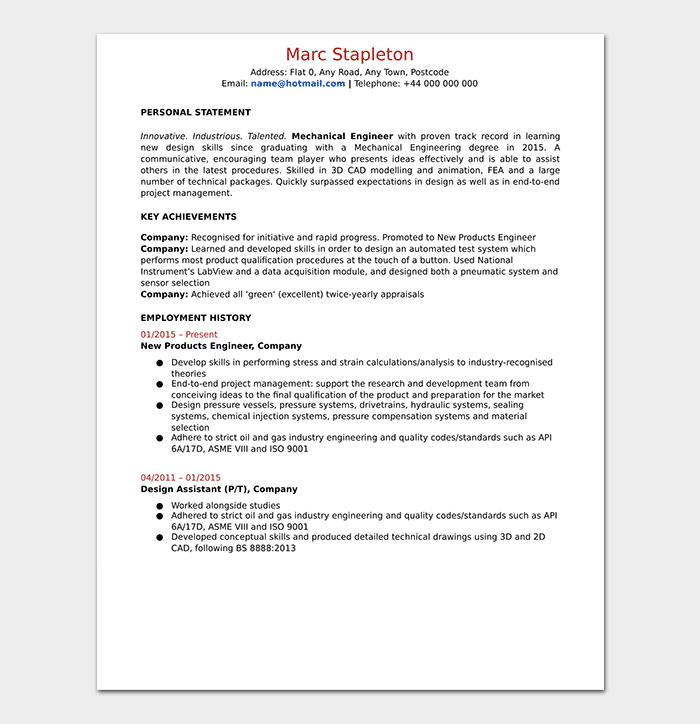 I am ready and qualified to assist the Mechanical Engineering department in your company achieve great heights. Solving problems in an effective and creative manner while attending to any challenging position in your firm.